Bestseller Barbara Devlin is a police officer, turned English professor, turned indie author. She ruthlessly researches the eras in which she writes, as she's a stickler for accuracy, but Barbara also loves creating period-correct vernacular. She lives in Texas with her firefighter husband and four Brittanies, Libby, Rufus, Sadie, and Gus, and a goofy lab named Lamont. 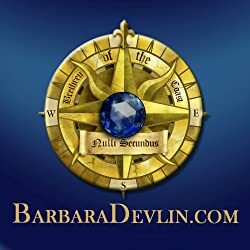 Please enter your email address and click the Follow button to follow Barbara Devlin!